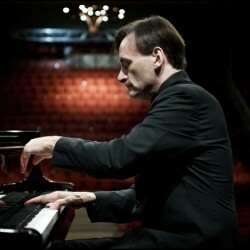 Stephen Hough is regarded as a Renaissance man of his time. Over the course of his career he has distinguished himself as a true polymath, not only securing a reputation as a uniquely insightful concert pianist but also as a writer and composer. Mr. Hough is commended for his mastery of the instrument as well as an individual and inquisitive mind that has earned him a multitude of prestigious awards and a longstanding international following.